Hi all! I'm back with a card for My Favorite Things November Release Countdown Day 3. 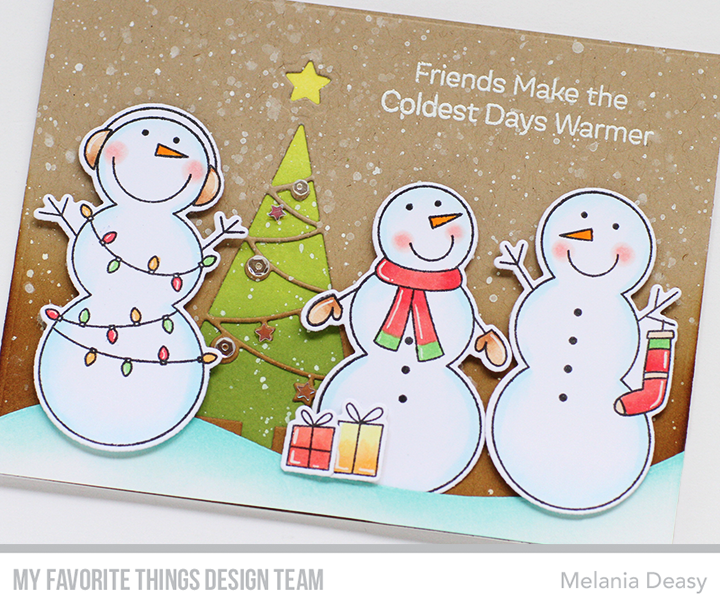 I play with some new stamp and die to make a fun Holiday card. I hope you enjoy it! I stamp, color the images using copic then die cut it. The sentiment is from white embossing powder. I add some clear sequins for the embellishment on the tree. Love the way the snowman pops off the background. 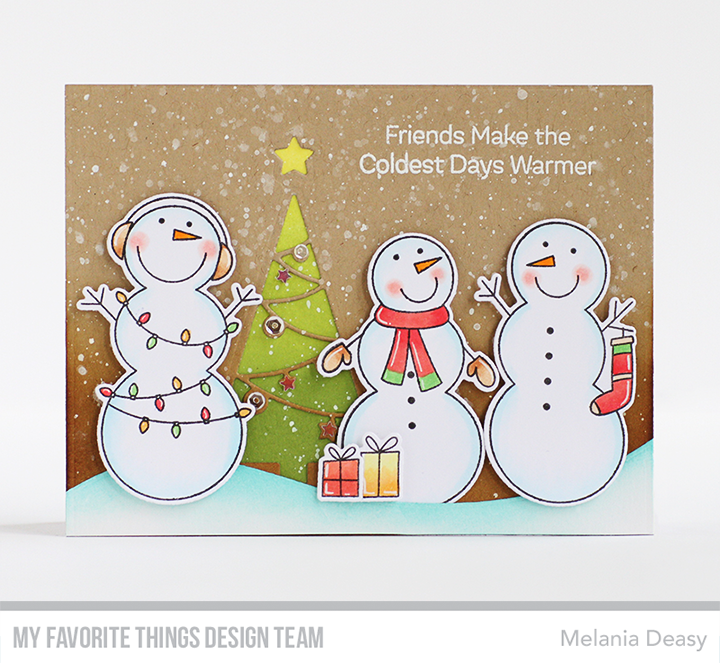 Awesome card that captures the spirit of Christmas with the celebrating snowmen! Would you share the Copic colors you use for your cards. Love your color combinations! 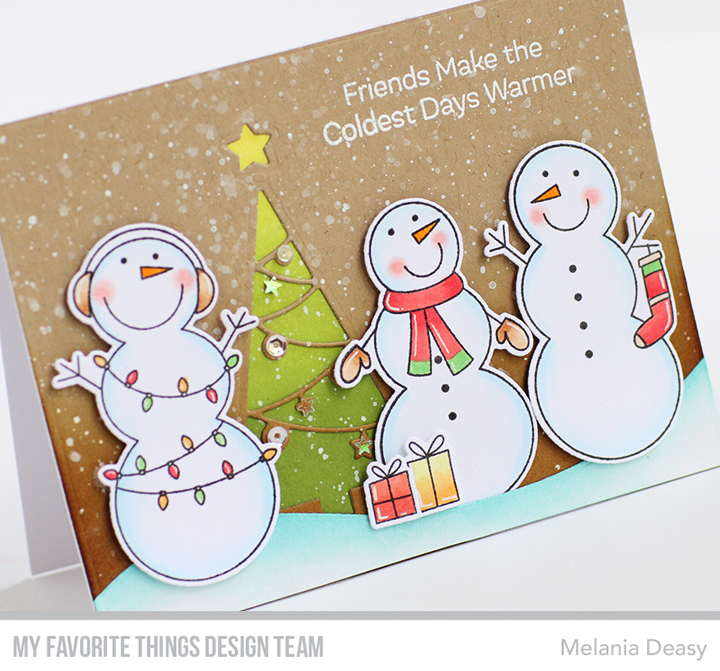 Great card with the cut out tree in the background of the whimsical snowmen.